Theory, modelling, and characterization of integrated photonic structures and devices. P. Cheben, J. Čtyroký, J. H. Schmid, S. Wang, J. Lapointe, J. G. Wangüemert-Pérez, Í. Molina-Fernández, A. Ortega-Moñux, R. Halir, D. Melati, D. Xu, S. Janz, M. Dado: "Bragg filter bandwidth engineering in subwavelength grating metamaterial waveguides," Optics Letters, vol. 44, no. 5, pp. 1043-1046, 2019. J. Čtyroký, J. G. Wangüemert-Pérez, P. Kwiecien, I. Richter, J. Litvik, J. H. Schmid, Í. Molina-Fernández, A. Ortega-Moñux, M. Dado, P Cheben: "Design of narrowband Bragg spectral filters in subwavelength grating metamaterial waveguides," Optics Express, vol. 26, no. 1, pp. 179-194, 2018. P. Kwiecien, I. Richter, V. Kuzmiak, and J. Čtyroký, "Nonreciprocal waveguiding structures for THz region based on InSb " J. Opt. Soc. Am. A 34(6), 892-903 (2017). A. Ortega-Moñux, J. Čtyroký, P. Cheben, J. H. Schmid, S. Wang, Í. Molina-Fernández, and R. Halir, "Disorder effects in subwavelength grating metamaterial waveguides," Opt. Express 29(11), 12222-12236 (2017). J. Čtyroký, "Dispersion properties of coupled waveguides with loss and gain: a full-vectorial analysis," Optical and Quantum Electronics 46, 465-475 (2014). J. Čtyroký, P. Kwiecien, and I. Richter, "Anlysis of hybrid dielectric-plasmonic slot waveguide structures with 3D Fourier modal methods," Journal of the European Optical Society - Rapid publications, 8, 13024_1-6 (2013). L. Ondič, O. Babchenko, M. Varga, A. Kromka, J. Ctyroky, and I. Pelant, "Diamond photonic crystal slab: Leaky modes and modified photoluminescence emission of surface-deposited quantum dots," Scientific Reports, 2, 914_1-6 (2012). J. Čtyroký, "3-D Bidirectional Propagation Algorithm Based on Fourier Series," J. Lightwave Technol. 30, 3699-3708 (2012). E. I. Smotrova, V. O. Byelobrov, T. M. Benson, J. Čtyroký, R. Sauleau, and A. I. Nosich, "Optical Theorem Helps Understand Thresholds of Lasing in Microcavities with Active Regions," IEEE J. Quantum Electron. 47,20-30 (2011). G. C. des Francs, J. P. Hugonin, and J. Čtyroký, "Mode solvers for very thin long-range plasmonic waveguides," Optical and Quantum Electronics, 42, 557-570 (2011). J. Čtyroký, V. Kuzmiak, and S. Eyderman, "Waveguide structures with antisymmetric gain/loss profile," Optics Express 18, 21585 21593 (2010). F. Todorov, M. Chomat, D. Berkova, J. Čtyroký, V. Matejec, and I. Kasik, "Sensitivity Characteristics of Long-Period Gratings Written with a CO2 Laser in Fiber with Parabolic-Index Cladding," Sensor Letters 7, 979-983 (2009). E. I. Smotrova, T. M. Benson, P. Sewell, J. Čtyroký, R. Sauleau, and A. I. Nosich, "Optical fields of the lowest modes in a uniformly active thin subwavelength spiral microcavity," Optics Letters 34, 3773-3775 (2009). J. Čtyroký, "Efficient Boundary Conditions for Bidirectional Propagation Algorithm Based on Fourier Series," Journal of Lightwave Technology 27, 2575-2582 (2009). R. Slavik and J. Čtyroký, "Light Advancement and Delay by Linear Filters With Close to Zero Resonant Transmittance," Journal of Lightwave Technology 26, 3708-3713 (2008). 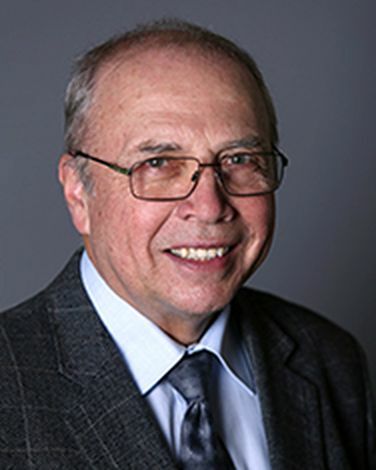 E. I. Smotrova, T. M. Benson, P. Sewell, J. Čtyroký, and A. I. Nosich, "Lasing frequencies and thresholds of the dipole supermodes in an active microdisk concentrically coupled with a passive microring," Journal of the Optical Society of America a-Optics Image Science and Vision 25, 2884-2892 (2008). M. Chomat, D. Berkova, F. Todorov, J. Čtyroký, V. Matejec, I. Kasik, J. Probostova, M. Salvia, and J. Jehid, "Bend sensing with long-period fiber gratings in capillaries embedded in structures," Materials Science & Engineering C-Biomimetic and Supramolecular Systems 28, 716-721 (2008). J. Čtyroký, M. Chomat, and V. Matejec, "Analysis of bending effects in long period gratings in fibres with parabolic refractive index profile of the cladding," Materials Science & Engineering C-Biomimetic and Supramolecular Systems 28, 739-743 (2008). F. Ondracek, J. Jagerska, L. Salavcova, M. Mika, J. Spirkova, and J. Čtyroký, "Er-Yb waveguide amplifiers in novel silicate glasses," Ieee Journal of Quantum Electronics 44, 536-541 (2008). F. Ondracek, L. Salavcova, M. Mika, F. Lahodny, R. Slavik, J. Spirkova, and J. Čtyroký, "Fabrication and characterization of channel optical waveguides in Er/Yb-doped silicate glasses," Optical Materials 30, 457-461 (2007). J. Čtyroký, "Improved bidirectional-mode expansion propagation algorithm based on fourier series," Journal of Lightwave Technology 25, 2321-2330 (2007). H. Nemec, P. Kuzel, J. L. Coutaz, and J. Čtyroký, "Transmission properties and band structure of a segmented dielectric waveguide for the terahertz range," Optics Communications 273, 99-104 (2007). J. Čtyroký, I. Richter, and M. Sinor, "Dual resonance in a waveguide-coupled ring microresonator," Optical and Quantum Electronics 38, 781-797 (2006). M. Chomat, J. Čtyroký, D. Berkova, V. Matejec, J. Kanka, J. Skokankova, F. Todorov, A. Jancarek, and P. Bittner, "Temperature sensitivity of long-period gratings inscribed with a CO2 laser in optical fiber with graded-index cladding," Sensors and Actuators B-Chemical 119, 642-650 (2006). J. Čtyroký, "A simple bi-directional mode expansion propagation algorithm based on modes of a parallel-plate waveguide," Optical and Quantum Electronics 38, 45-62 (2006). J. Čtyroký, M. Chomat, and V. Matejec, "Analysis of a long-period grating inscribed in the core of a fibre with inverse parabolic-index cladding," Materials Science & Engineering C-Biomimetic and Supramolecular Systems 26, 431-435 (2006). R. Stoffer, K. R. Hiremath, M. Hammer, L. Prkna, and J. Čtyroký, "Cylindrical integrated optical microresonators: Modeling by 3-D vectorial coupled mode theory," Optics Communications 256, 46-67 (2005). K. Hiremath, M. Hammer, R. Stoffer, L. Prkna, and J. Čtyroký, "Analytic approach to dielectric optical bent slab waveguides," Optical and Quantum Electronics 37, 37-61 (2005). L. Prkna, M. Hubalek, and J. Čtyroký, "Field modeling of circular microresonators by film mode matching," Ieee Journal of Selected Topics in Quantum Electronics 11, 217-223 (2005). L. Prkna, M. Hubalek, and J. Čtyroký, "Vectorial eigenmode solver for bent waveguides based on mode matching," Ieee Photonics Technology Letters 16, 2057-2059 (2004). I. Richter and J. Čtyroký, "The 2003 International Workshop on Optical Waveguide Theory and Numerical Modelling - Preface," Optical and Quantum Electronics 36, 1-3 (2004). L. Prkna, J. Čtyroký, and M. Hubalek, "Ring microresonator as a photonic structure with complex eigenfrequency," Optical and Quantum Electronics 36, 259-269 (2004). M. Piliarik, J. Homola, Z. Manikova, and J. Čtyroký, "Surface plasmon resonance sensor based on a single-mode polarization-maintaining optical fiber," Sensors and Actuators B-Chemical 90, 236-242 (2003). H. Hoekstra, J. Čtyroký, and L. Kotacka, "Evaluation of Cerenkov second harmonic generation in planar waveguides in the Fourier domain," Journal of Lightwave Technology 21, 299-304 (2003). J. Čtyroký, S. Helfert, R. Pregla, P. Bienstman, R. Baets, R. De Ridder, R. Stoffer, G. Klaasse, J. Petracek, P. Lalanne, J. P. Hugonin, and R. M. De La Rue, "Bragg waveguide grating as a 1D photonic band gap structure: COST 268 modelling task," Optical and Quantum Electronics 34, 455-470 (2002). I. F. Salakhutdinov, L. Kotacka, H. Hoekstra, J. Čtyroký, V. A. Sychugov, and O. Parriaux, "Abnormal reflecting mirror structures for intra-cavity Cerenkov second-harmonic generation," Applied Physics B-Lasers and Optics 73, 541-545 (2001). J. Čtyroký, "Untitled," Optical and Quantum Electronics 33, 313-314 (2001). L. Kotacka and J. Čtyroký, "On the efficiency of the second harmonic generation in optical waveguides: TM case," Optical and Quantum Electronics 33, 541-559 (2001). J. Dostalek, J. Čtyroký, J. Homola, E. Brynda, M. Skalsky, P. Nekvindova, J. Spirkova, J. Skvor, and J. Schrofel, "Surface plasmon resonance biosensor based on integrated optical waveguide," Sensors and Actuators B-Chemical 76, 8-12 (2001). R. Slavik, J. Homola, J. Čtyroký, and E. Brynda, "Novel spectral fiber optic sensor based on surface plasmon resonance," Sensors and Actuators B-Chemical 74, 106-111 (2001). L. Kotacka, J. Čtyroký, and H. Hoekstra, "Cerenkov waveguide SHG: A less critical way to reach the efficiency peak," Acta Physica Polonica A 99, 135-146 (2001). J. Čtyroký, "Photonic bandgap structures in planar waveguides," Journal of the Optical Society of America a-Optics Image Science and Vision 18, 435-441 (2001). J. Čtyroký and L. Kotacka, "On the efficiency of small-angle Cerenkov second harmonic generation in optical waveguides," Optical and Quantum Electronics 32, 799-818 (2000). J. Čtyroký, F. Abdelmalek, W. Ecke, and K. Usbeck, "Modelling of the surface plasmon resonance waveguide sensor with Bragg grating," Optical and Quantum Electronics 31, 927-941 (1999). J. Čtyroký, J. Homola, P. V. Lambeck, S. Musa, H. Hoekstra, R. D. Harris, J. S. Wilkinson, B. Usievich, and N. M. Lyndin, "Theory and modelling of optical waveguide sensors utilising surface plasmon resonance," Sensors and Actuators B-Chemical 54, 66-73 (1999). R. Slavik, J. Homola, and J. Čtyroký, "Single-mode optical fiber surface plasmon resonance sensor," Sensors and Actuators B-Chemical 54, 74-79 (1999). R. Slavik, J. Homola, and J. Čtyroký, "Miniaturization of fiber optic surface plasmon resonance sensor," Sensors and Actuators B-Chemical 51, 311-315 (1998). V. Matejec, M. Chomat, I. Kasik, J. Čtyroký, D. Berkova, and M. Hayer, "Inverted-graded index fiber structures for evanescent-wave chemical sensing," Sensors and Actuators B-Chemical 51, 340-347 (1998). J. Čtyroký, S. Helfert, and R. Pregla, "Analysis of a deep waveguide Bragg grating," Optical and Quantum Electronics 30, 343-358 (1998). H. Hoekstra, P. V. Lambeck, G. J. M. Krijnen, J. Čtyroký, M. De Minicis, C. Sibilia, O. Conradi, S. Helfert, and R. Pregla, "A COST 240 benchmark test for beam, propagation methods applied to an electrooptical modulator based on surface plasmons," Journal of Lightwave Technology 16, 1921-1927 (1998). M. Miler, J. Janta, and J. Čtyroký, "Holographic reflection scanners for laser processing of materials," Lasers in Engineering 7, 69-80 (1998). J. Homola, R. Slavik, and J. Čtyroký, "Interaction between fiber modes and surface plasmon waves: spectral properties," Optics Letters 22, 1403-1405 (1997). J. Homola, J. Čtyroký, M. Skalsky, J. Hradilova, and P. Kolarova, "A surface plasmon resonance based integrated optical sensor," Sensors and Actuators B-Chemical 39, 286-290 (1997). J. Čtyroký, J. Homola, and M. Skalsky, "Tuning of spectral operation range of a waveguide surface plasmon resonance sensor," Electronics Letters 33, 1246-1248 (1997). J. Čtyroký, J. Homola, and M. Skalsky, "Modelling of surface plasmon resonance waveguide sensor by complex mode expansion and propagation method," Optical and Quantum Electronics 29, 301-311 (1997). J. Haes, R. Baets, C. M. Weinert, M. Gravert, H. P. Nolting, M. A. Andrade, A. Leite, H. K. Bissessur, J. B. Davies, R. D. Ettinger, J. Čtyroký, E. Ducloux, F. Ratovelomanana, N. Vodjdani, S. Helfert, R. Pregla, F. Wijnands, H. Hoekstra, and G. J. M. Krijnen, "A comparison between different propagative schemes for the simulation of tapered step index slab waveguides," Journal of Lightwave Technology 14, 1557-1569 (1996). J. Čtyroký, H. Hoekstra, G. J. M. Krijnen, P. V. Lambeck, L. Joannes, D. Decoster, A. P. Leite, M. A. Andrade, R. Pregla, E. Ahlers, and J. F. Vinchant, "Modeling of Self-Aligned Total Internal-Reflection Wave-Guide Mirrors - An Interlaboratory Comparison," Optical and Quantum Electronics 27, 935-942 (1995). J. Zavadil, T. Honc, and J. Čtyroký, "Influence of Optical Fibers on the Spectrum of Transmitted Light-Emitting-Diode Radiation," Applied Optics 34, 4312-4315 (1995). J. Čtyroký and L. Thylen, "Analysis of a Directional Coupler by Coupled Modes of a Single Wave-Guide," Optics Letters 19, 1621-1623 (1994). J. Čtyroký, R. Goring, J. Janta, W. Karthe, A. Rasch, M. Rottschalk, and J. Schrofel, "Integrated Electrooptic Modulators And Switches in LiNbO3," Kybernetika 26, 171-190 (1990). J. Čtyroký, "Guided-wave electro-optic x-type switches - symmetry, switching characteristics and cross-talk," Journal of Modern Optics 35, 1007-1015 (1988). M. Miler, V. N. Morozov, V. A. Pletnev, A. N. Putilin, A. S. Semenov, and J. Čtyroký, "Higher-order Bragg-diffraction by a periodic structure in a planar optical wave-guide," Kvantovaya Elektronika 14, 1612-1618 (1987). Z. E. Buachidze, V. N. Morozov, V. A. Pletnev, M. Pukhta, A. S. Semenov, and J. Čtyroký, "Light-propagation in a planar wave-guide CdSxSe(1-x) structure with the variable bandgap along the surface," Kvantovaya Elektronika 14, 1619-1624 (1987). D. V. Petrov and J. Čtyroký, "Optimal parameters of single-mode LiNbO3-Ti wave-guides for collinear acoustooptic interaction," Kvantovaya Elektronika 12, 104-107 (1985). J. Čtyroký, M. Hofman, J. Janta, and J. Schrofel, "3-D analysis of LiNbO3-Ti channel waveguides and directional-couplers," IEEE Journal of Quantum Electronics 20, 400-409 (1984). J. Čtyroký, J. Janta, and J. Schrofel, "Refractive-index profile measurement of highly multimode planar waveguides by guided-beam tracking," Optics Letters 7, 552-554 (1982). J. Čtyroký and M. Cada, "Generalized wkb method for the analysis of light-propagation in inhomogeneous anisotropic optical-waveguides," IEEE Journal of Quantum Electronics 17, 1064-1070 (1981). J. Čtyroký, "Approximate calculation of leaky-mode loss coefficients for Ti-diffused LiNbO3 wave-guides - comment," Ieee Journal of Quantum Electronics 16, 1287-1288 (1980). J. Čtyroký, M. Cada, N. M. Lyndin, V. A. Sychugov, and J. Schroefel, "Novel beam-to-waveguide coupler for LiNbO3 optical-waveguides," Electronics Letters 15, 519-521 (1979). M. Cada, J. Čtyroký, I. Gregora, and J. Schrofel, "Wkb analysis of guided and semi-leaky modes in graded-index anisotropic optical waveguides," Optics Communications 28, 59-63 (1979). J. Čtyroký and M. Cada, "Guided and semi-leaky modes in anisotropic optical-waveguides of LiNbO3 type," Optics Communications 27, 353-357 (1978). J. Čtyroký and N. Trsan, "Analysis and design of a flat transducer array acoustooptic deflector with respect to 2nd-order diffraction," Optica Acta 25, 1081-1086 (1978). J. Janta and J. Čtyroký, "Accuracy of WKB analysis of TE and TM modes in planar graded-index waveguides," Optics Communications 25, 49-52 (1978). J. Čtyroký, "Coupled-mode theory of Bragg-diffraction in presence of multiple internal reflections," Optics Communications 16, 259-261 (1976). J. Čtyroký, "Propagation of wave beams in anisotropic media," Optica Acta 22, 435-441 (1975).